Time is running out. The Deadline for the APSE Scholarship is June 1. 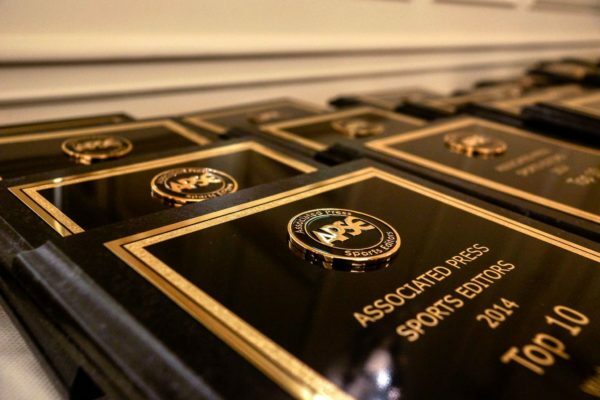 The Associated Press Sports Editors sponsors four $1,500 scholarships for collegiate sports journalists. The goal of the scholarships is to help motivate talented students to pursue a career in sports journalism. Collegiate sports journalists entering their sophomore, junior or senior years are eligible for the scholarship which will awarded based on the students’ journalistic work, their academic record, financial need, and geography. The scholarships will be awarded to students from four different regions of the United States. The winners will be chosen by the APSE scholarship committee, which is chaired by Joe Sullivan, sports editor of the Boston Globe and includes editors from all sections of the United States. Deadline is June 1. – Academic: A copy of the student’s collegiate grades. – Financial: A brief rundown of the student’s financial situation, with regards to how he/she plans to pay for tuition.